Northern and north-eastern parts of Thailand will get lots of rain this week with isolated heavy rain forecast for the North, the Northeast, the Central, the East and west coast of the South, including Phuket. This is today’s news out of the TMD (Thai Meteorological Department). They say there is a monsoonal trough lying across Myanmar, the upper North of Thailand and Laos with an active low pressure over Tonkin Bay – the body of water bounded by mainland China, Hianan Island and Vietnam. 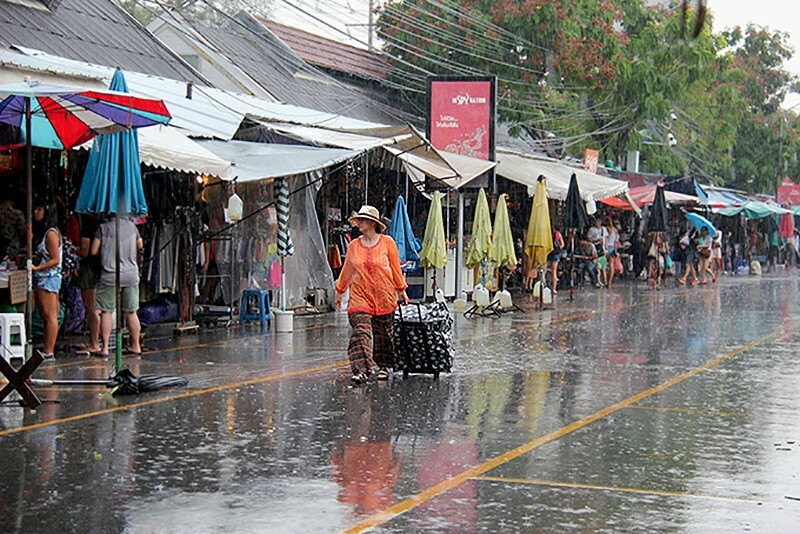 A strong southwest monsoon prevails over the Andaman Sea and Gulf of Thailand. Residents are being warned of possible flash floods and severe weather conditions. Residents along the eastern and western coastlines of the South should stay alert for inshore surges. Waves up to 2-3 metres high in the upper Andaman Sea and the upper Gulf of Thailand are also forecast. Ships should proceed with caution, and small boats are advised to stay ashore.